Mommy & Me: Memories to last a lifetime! 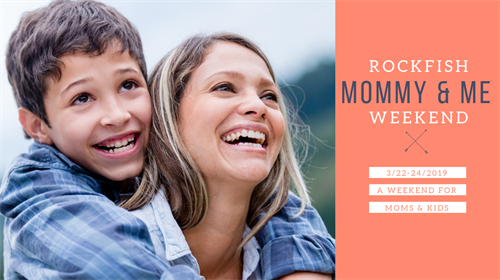 Mommy & Me is a special weekend designed for moms to enjoy pure quality time with their children at Rockfish. Have an adventure. Spend time together. Make memories. Rate includes two nights lodging, a late Friday dinner, meals through Sunday breakfast, and great Rockfish-led activities! God will take care of the nature and Spirit. You will bring the smiles and laughter.